Sue Mayes has been the principal physiotherapist of The Australian Ballet since 1997. She manages the company's medical department and treats the diverse injuries of the professional ballet dancer. Sue graduated from La Trobe University in 1990 with a Bachelor of Science (Physiotherapy) and completed a Graduate Diploma in Sports Physiotherapy in 1996. She has been a co-investigator and co-author on several ballet-related research projects, and has published papers from her PhD, titled Hip Health in Professional Ballet Dancers. She is currently researching ankle and hip-joint injuries in professional ballet dancers as part of the partnership between The Australian Ballet and La Trobe University. Sue has presented at conferences around the world, including the International Association of Dance Medicine and Science Conferences and the IOC World Conference on Prevention of Injury and Illness in Sport 2017, and lectures regularly throughout Australia. She provided physiotherapy for Sylvie Guillem's tours throughout Japan with Tokyo Ballet (2000-2015), and for the New Universe of Manuel Legris program in Tokyo (2010). Sue was nominated for a 2017 Australian Dance Award in the category Service to Dance. Paula Baird-Colt graduated from the Victorian College of the Arts Secondary School, beginning her professional dance career with the West Australian Ballet before joining The Australian Ballet in 1987. In 1998 Paula received a Green Room award for Best Performance by a Female Dancer for her roles in Jardí Tancat and In the Upper Room. After retiring in 2000, Paula retrained in the Pilates Method. From 2001 – 2007 she taught a dance-specific conditioning program at The Australian Ballet School. She is the co-author of the book Bodywise: Discover a new connection with your ballet. A member of The Australian Ballet’s medical team since 2007, she works with dancers to help them understand and improve their body management and has developed an innovative approach to conditioning. As a member of the International Association of Dance Medicine & Science, she has presented internationally as well as in Australia. Sophie Emery graduated with a Bachelor of Physiotherapy from La Trobe University in 2006. In her final year of university, she was lucky enough to observe the medical team at The Australian Ballet, an eye-opening and extremely inspiring experience. In 2009 Sophie joined The Australian Ballet as company physiotherapist on a part-time basis, and in 2013 moved into a full-time touring position. Sophie finds the sharing of ideas and skills within The Australian Ballet’s multidisciplinary medical team not only motivating, but the best environment for ongoing personal and skill development. She enjoys the challenge of not only treating dance injuries as they occur, but assisting in the development of injury-prevention programs for dancers. In 2013 Sophie went on to complete her Masters in Sports Physiotherapy through La Trobe University. At 16 years old Sakis was offered a position at The Australian Ballet School. After graduation, he performed with a number of Australian dance companies, including The Australian Ballet, Queensland Ballet, West Australian Ballet and Australian Dance Theatre. After a fulfilling ten-year dance career, he completed a personal training and Pilates course and spent several years teaching Pilates and ballet at various Melbourne dance schools, as well as running his own Pilates, strength and conditioning business. 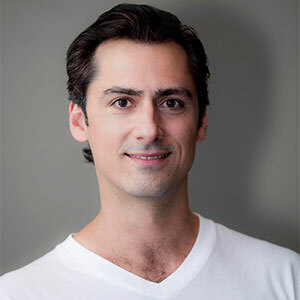 In 2015 Sakis joined The Australian Ballet as its strength and conditioning instructor, and in 2016 he joined The Australian Ballet School in the same role. He regularly appears as a guest artist in The Australian Ballet’s productions. Stuart Buzza completed an Advanced Diploma of Myotherapy at RMIT in 1998, after originally teaching Physical Education. 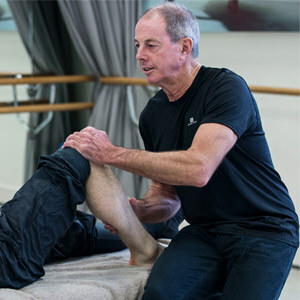 In 2001 Stuart joined the medical team of The Australian Ballet as a myotherapist. He was also employed at RMIT, where he lectured in myotherapy. Stuart left RMIT in 2003 due to increased touring commitments with the ballet and has been a full-time myotherapist with the company ever since. He uses a range of treatment techniques to restore optimal muscle function, including myofascial release, dry needling, trigger-point therapy, cupping and stretching. In 2014 Stuart received the Toni Moynihan Award for Excellence and Service to the Profession of Myotherapy from the board of the Institute of Registered Myotherapists of Australia.